I cannot say enough positive things about Melanie. She was very communicative and really listened to my needs and goals. I have received so many compliments on my resume. I credit her with me being able to land a job a month after finishing grad school. Thanks again! 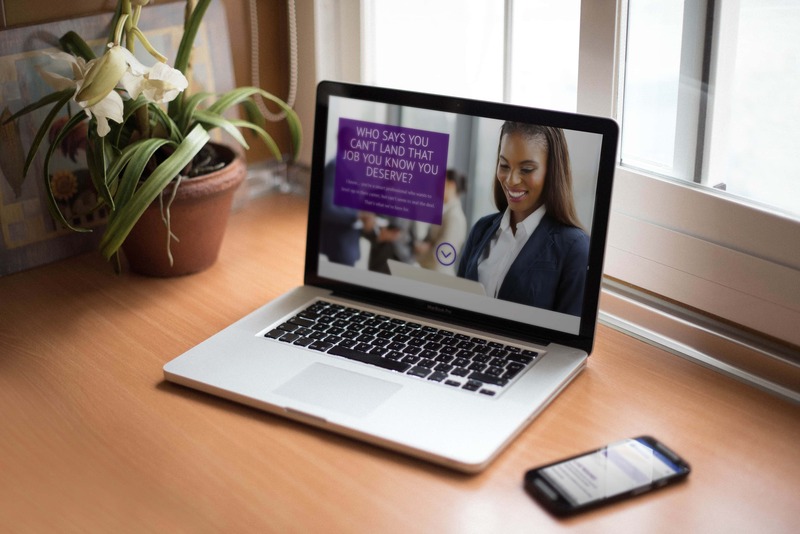 This training called, How to Land Your Next Job Using LinkedIn comes with a LinkedIn Profile Optimizer Workbook that walks you through how to craft a profile that turns heads so you get hired and get paid. Thank you for hosting the webinar. It was very informative. I appreciate you sharing your expertise in the webinar and free workbook, which is excellent by the way! During this 90 minute, live, interactive training, I walk you through the strategies you need to tap into LinkedIn’s hidden gems and stand out among a sea of 500 million. retain the video recording to re-watch any time you’d like. Thank you for the Linkedin profile…went from a complete waste of space to All-Star status! Hey Melanie, little update; since we spoke last, I got the job with Target as their new Operations manager in Tifton, Georgia. I think the new resume was the bow that tied everything up perfectly. Thanks again for the awesome resume! I know, you HATE interviewing. You are never sure what to say, how to say it, what to wear or what to do after. You THINK you do pretty well – but you NEVER hear back and wonder what the heck happened. You start doubting your abilities and your confidence takes a deep dive into total self-doubt. With her assistance I feel much more confident when applying for any job. Additionally, I recently received a job offer, which I decided not to take as they could not offer me what I felt I am worth. Her services and guidance have increased my self confidence and knowledge of job searching. Did you know that most employers expect you (the candidate) to negotiate your compensation package? How many times have you been offered a salary and simply agreed out of fear of them revoking the offer? My resume was old, my interview skills dusty. Working with Melanie at Resume Evolution was by far the best decision I could have made! She counseled me on EVERY single step. She even helped me negotiate extra perks! Her knowledge is vast, her professionalism speaks volumes and ultimately I owe my new career and bigger pay check directly to her efforts.